The simple pleasures of waking up from a good night's slumber and then eating a hearty meal can really help set the tone for the rest of the day. A killer breakfast means having the energy and can-do attitude to kick the day's errands and obstacles in the behind. It also means you'll have enough fuel to crush your day's workout and net some solid gains. Many people choose to eat their breakfast first thing in the morning, while others choose to "break fast" later in the day. Whatever your preferred dining time, these scrumptious recipes will supercharge your breakfast! If you're on a low-carb protocol, you might occasionally pine for the carb-centric staples of breakfast such as pancakes, cereal, and hash browns. Cellucor athlete and pioneer of the "30 Days Out" trainer Craig Capurso certainly missed these foods, but he didn't have to abandon his low-carb stance. Instead, he got a little creative and satisfied both his craving and nutritional needs with this low-carb recipe. Oatmeal is the perfect vehicle for delivering delicious, carb-laden fuel into your active body. Its neutral flavor profile allows you to jazz it up in any way you want by adding fruit, peanut butter, honey, or even protein powder. 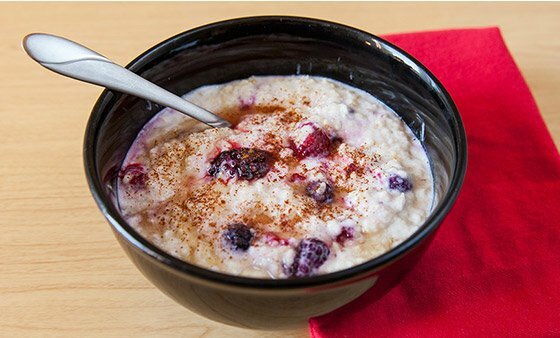 Try this bowl of oatmeal, a favorite staple in bodybuilder Calum von Moger's daily diet! When athlete Jen Jewell wakes up in the morning, she always looks forward to making—and eating!—her very own berry-infused protein pancakes. "I love using my beloved Cor-Fetti with this one because, when you add in the fruit, it gives off a cake-like quality," says Jen. If you have a sweet tooth to tame, this is the recipe for you. 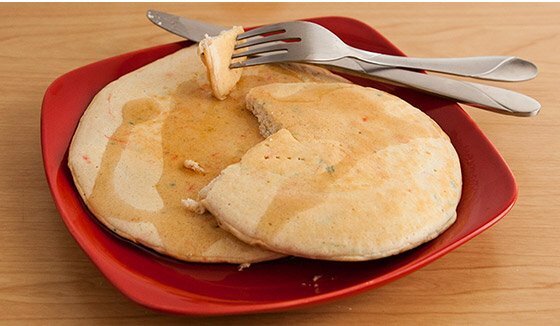 Because these pancakes are higher in carbohydrates, they are perfect for pre- or even post-morning workouts. Even if you're not going to be working out, simply finding the time to prepare and enjoy these can help you start your day right! If you don't have premade cinnamon raisin peanut butter, simply mix together peanut butter, raisins, cinnamon, and a sweetener of your choice. Which of these fantastic breakfast ideas are you ready to try tomorrow? 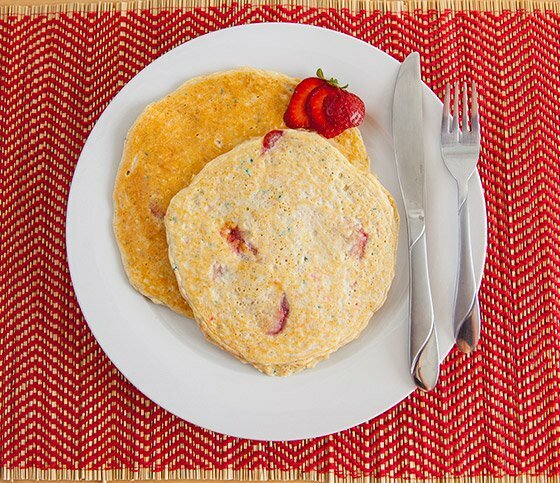 Tell us your favorite, or share your own breakfast recipe in the comments!